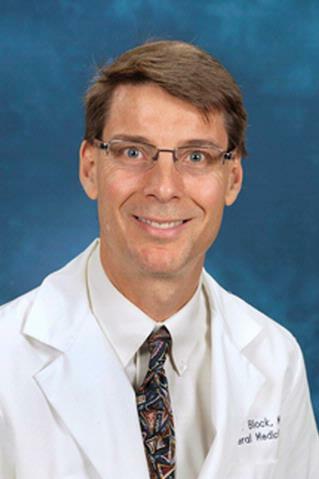 Dr. Robert Block specializes in the care of patients with hyperlipidemia. His expertise includes the diagnosis and treatment of patients with complex lipid disorders and familial cholesterol diseases. He is board certified in Internal Medicine, and also in Clinical Lipidology. Research: The primary and secondary prevention of cardiovascular disease through public health measures and medical practice redesign as well as the investigation of pathophysiologic mechanisms by which disease develops. His sub-focus is the role of fatty acids and cardiovascular disease. Given his years of clinical practice, Dr. Block's research interests are quite broad. His research, however, focuses on the investigation of how nutrition affects the risk of cardiovascular disease. This interest is most intense regarding the role of fatty acids and their metabolites on heart disease risk, particularly in those with coronary artery disease. He has completed a recent study of the relationship of blood levels of omega-3 and omega-6 fatty acids and the risk of recurrent coronary artery events. He is interested in understanding the role of biomarkers, such as fatty acids, for clinical use as well as in helping to understand heart disease pathophysiology. He has published regarding the clinical use of measuring lipoprotein(a) in predicting risk of cardiovascular disease in different populations and regarding the need for an integrated approach to cardiovascular disease modification. He has an interest in the specific integrated approach termed the "Chronic Care Model" for clinical practice reform and how its proactive approach may be superior to current practice patterns. Excellence in Research Incentive Program Award from the University of Rochester. Community Health Improvement Clerkship (CHIC) recognized as an innovative element of the curriculum. Dr. Block is Co-Director. Ruijie Liu, Min Cheng, Kumar S.D. Kothapalli, Zhen Wang, Elizabeth Mendralla, Hui Gyu Park, Robert C. Block, Xingguo Wang, J. Thomas Brenna. "Glycerol derived process contaminants in refined coconut oil induce cholesterol synthesis in HepG2 cells." Food and Chemical Toxicology. 2019; . Adams, MJ. ; Fisher SG. ; Lipshultz, SE. ; Shore RE. ; Constine LS. ; Stovall, M.; Dozier, A.; Thevenet-Morrison, K.; Block, R.; Schwartz, RG. ; Pearson, TA. "Risk of Coronary Events 55 Years after Thymic Irradiation in the Hempelmann Cohort.PMCID: PMC 6205237". Cario-Oncology. 2018; 1. Block RC, Holub A, Abdolahi A, Tu XM, Mousa SA, Oda MN. "Effects of aspirin in combination with EPA and DHA on HDL-C cholesterol and ApoA1 exchange in individuals with type 2 diabetes mellitus." Prostaglandins, leukotrienes, and essential fatty acids.. 2017 Nov 0; 126:25-31. Epub 2017 Sep 09. Author List: Block RC, Yalcin M, Srinivasan M, Georas S, Mousa SA.